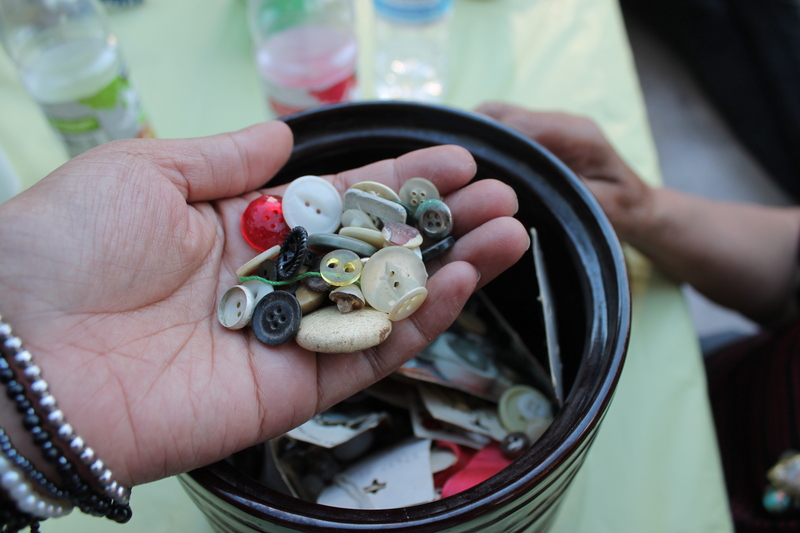 This is 25 years of button collecting from old shirts, dresses, pants, or basically anything that was being disposed. My great grandmother would instruct her children to remove the buttons and they were stored in this jar. With just one handful, I could feel the stories and memories preserved these colorful pieces of history.